Design Week Portland kicked off last Friday with hundreds of events and open houses planned around the city to celebrate everything that design entails. We’ve put together a list of upcoming events that you’ll love! We hope we’ll see you out there. Want To See The Full List of Events? At this event, you’ll be able to look at different and innovative designs from big names in Portland architecture. You can see all 8 custom dwellings during the 2017 AIA Portland Homes Tour from 10 a.m.-4 p.m. on Saturday, April 29. Maybe you’ll see something that will inspire your next home remodeling project. 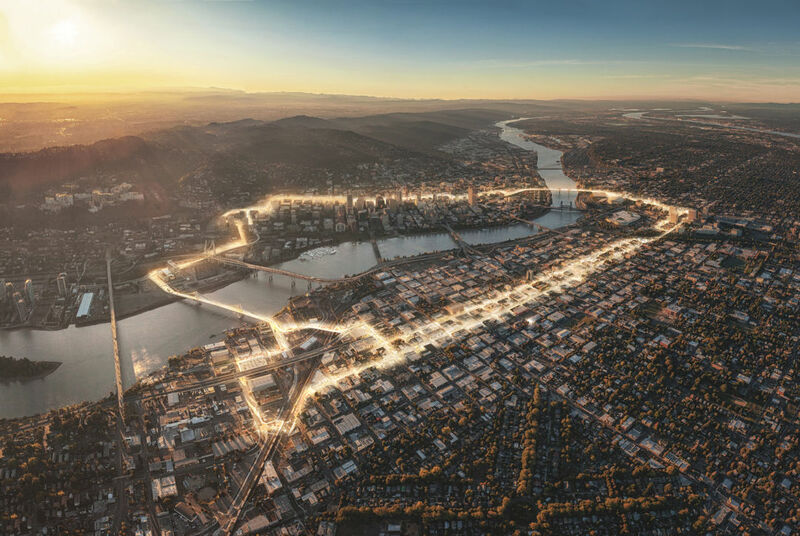 Design Week Portland Headquarters will highlight an interactive exhibition of the Green Loop, the proposed six-mile pedestrian, and bike promenade linking the city’s East and West sides. Check out the rendering below– won’t that be a great addition to Downtown and close-in SE Portland? Learn more. Want to see some of the coolest modern homes in Portland. Try this self-guided tour! You’ll seen an incredible showcase of modern takes on Pacific Northwest living. Sat, April 29, 2017 10AM-4PM PDT. Get your tickets! Did You Check Out Any Design Week Events? Let us know what was your favorite Design Week Portland event was in the comments below!